Microsoft has pushed out another preview build of Windows 10, following hot on the heels of the last one which made a lot of changes – but there’s a good dollop of fresh introductions here, as well, particularly when it comes to Cortana. 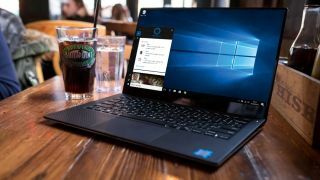 With build 15007, Microsoft has made Cortana far more helpful when it comes to working across different Windows 10 devices, in terms of making cloud-based files easily and swiftly accessible whatever machine you’re working on. The virtual assistant does this by popping up quick links in the Action Center. So, for example, if you’ve been working on a Word document on your laptop in the lounge, and you go upstairs to work on your PC, when you turn the latter on you’ll find a quick link to said document. And links for any other cloud-based documents you’ve been working on recently, and indeed links to websites you’ve recently visited in the Edge browser will also be accessible with a trip to the Action Center. Very useful stuff for those who have multiple PCs and make use of the virtual assistant. Speaking of Edge, Microsoft has continued to work on Windows 10’s browser, after making plenty of improvements in the last build. This time around, an option to easily import data from another browser has been introduced, so when you’re switching to Edge, you can easily bring across your favorites, history and so forth. There’s also a fresh option to quickly share collections of tabs that you’ve set aside, and Web Notes (annotations on websites) now support Windows Ink, so they work like Ink does under the Photos and Maps apps. Windows Hello has been given a polish, too, so those who use the facial recognition login will get “visual guidance that tracks your face in real-time” – Microsoft says testers should try it out to see exactly what they mean. An improved progress indicator has also been implemented which gives real-time feedback in the setup process, to make everything run a bit more smoothly. As ever, there are plenty of other minor changes – like refinements to the snipping tool, which now has its own keyboard shortcut (Alt + N) – and some issues to be aware of. Read the full list of tweaks in Microsoft’s blog post here.